List Rules Vote up the video games that hit you with all the feels. Pong brought video games into the mainstream, and with it came a whole lot of frustration and elation. The early technology was crude and expensive, but interacting with your TV was an exciting new frontier. Nowadays, developers look to extract emotion through epic storytelling, relatable characters, and intense difficulty. In between exasperation from frustrating mechanics and modern psychological manipulation lives a gaggle of video games that cause extreme reactions. There are emotional video games that make you sad and introspective, like Brothers: A Tale of Two Sons, and there are scary video games that freak you out like Outlast. Whether you're an everyday gamer or a part-time mobile enthusiast, there's plenty out there to push your buttons. SPOILER ALERT: There are a few startling plot twists and dramatic deaths in this list, so don't be surprised to find some spoilers here and there. You've been warned. The Last of Us is a beautifully told drama set in an action-packed, post-apocalyptic infected wasteland. Developer Naughty Dog got famous with Crash Bandicoot and the Uncharted series, but really turned up the manipulation factor with this one. You play as Joel, a smuggler tasked with accompanying a young girl, Ellie, who is believed to be the key to a cure for the outbreak. Along the way, you encounter wave after wave of infected enemies that vary in difficulty to kill and gross-out factor. The most unnerving of them all are the Clickers, named for the horrific nightmare-inducing sound they make as they stumble blindly about the environment. That sound still triggers an intense anxiety in many, many gamers. All of those feelings of stress are window dressing around the emotional devastation at the core of The Last of Us. The game opens with Joel and Sarah having a compelling father-daughter moment as the world begins to fall apart around them. 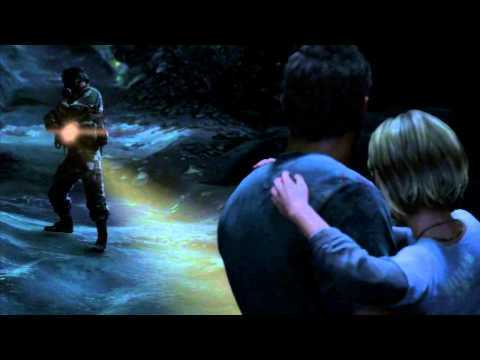 By the end of the chapter, Sarah gets shot and Joel carries her dead body around in his arms. And that's just for starters. Nobody asked for an '80s-style point-and-click adventure set in Robert Kirkman's popular comic universe of The Walking Dead. Thankfully, Telltale Games made one anyway. The game mechanics are nearly non-existent, adding up to not much more than a digital Choose Your Own Adventure book. But the characters, story, and difficult choices that make up the narrative are surprisingly compelling considering the now well-worn territory. You play Lee, a former university professor and convicted felon, guilty of killing your wife's lover. On the way to prison, the zombie outbreak happens and all hell breaks loose. You find yourself a "free" man, and come across the 8-year-old Clementine who joins you on your journey. Along the way, you're confronted with tough life-and-death choices that significantly influence how the story plays out. 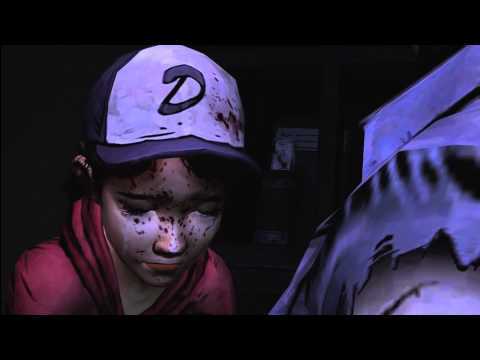 No matter what happens, though, Lee gets bitten and Clementine has to decide how to let him die: watch him suffer while turning into an undead ghoul, or put a bullet in his brain. Good times. Many people believe that Red Dead Redemption is one of the greatest games ever made. 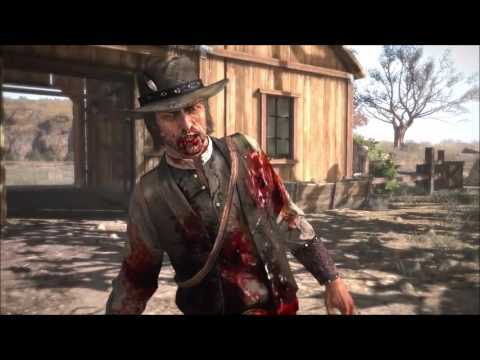 Rockstar Games applied the brilliant open-world gameplay they perfected in Grand Theft Auto to the Wild West and came up with this masterpiece. Set in the Texas-Mexico border circa 1910, you play John Marston, a reformed outlaw on a mission to take down the members of his old gang. The FBI promised Marston amnesty if he completes his dangerous task, allowing him to return home to his wife and family. After gunning down the final boss, you return home to your ranch and loved ones, but the game isn't over. The last few missions task you with tending to your animals, bonding with your son, and falling in love with your wife all over again. Then the Feds show up and murder you in cold blood. It's honestly one of the most heartbreaking experiences in all of gaming. Final Fantasy is one of the greatest RPG franchises of all time, and most consider FFVII to be the pinnacle of the series. In this entry, our brave hero saves flower seller Aerith Gainsborough from a gang called The Turks, and she joins the crew on their adventure. Beyond being a love interest for the protagonist, Aerith is also the key to saving the Planet, Gaia. One night, she inexplicably heads out into the Forgotten City alone. 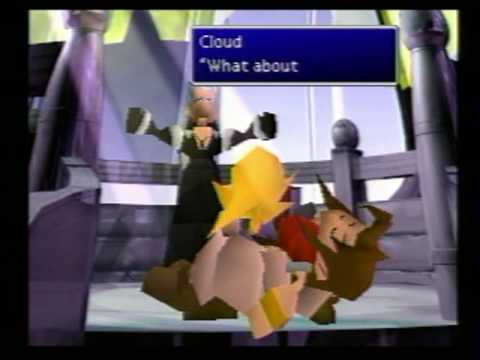 Cloud and the crew find her kneeling at an altar just in time to watch Sephiroth turn Aerith into a freaking kebab. Cloud carries her body to a lake in the Forgotten City and releases her energy back to the Planet. There will be no second life; there will be no resurrection. If you didn't cry during this scene, you should probably seek immediate medical attention.